On Wednesday, Tesla Motors announced a key step towards beginning worldwide distribution of Model S. Deliveries of the Model S began last June, but so far have only occurred within the U.S. Operations at Tesla's new European Distribution Center in Tilburg, Netherlands will begin this month, and will serve as Tesla's European service and parts headquarters, as well as final assembly and distribution center for Europe. The facility will pave the way for Model S delivery in Europe, and general production of European left-hand drive Model S is planned to begin in March 2013. Tesla describes the 62,000 square foot facility as being centrally located to allow for timely and cost effective operations throughout Europe. One initial activity this month is for the facility to begin stocking parts for both the Tesla Roadster and Model S. In time the company will utilize this facility for vehicle importing operations, final vehicle assembly and distribution, service headquarters, technical training operations, parts remanufacturing, collision repair and more. The company had a similar arrangement earlier for Tesla Roadster distribution in Europe. With the Tesla Roadster, the company handled final assembly for European roadsters in England. While the North American Roadsters were assembled in Menlo Park, CA, the Roadsters destined for Europe or elsewhere were assembled in near Hethel, U.K. U.S. Roadster production began in September 2008, and began shipping cars to Europeans in mid-2009. A total of 575 units, out of the approximately 2500 Roadsters total, have been sold in Europe through October 2012. In early November, the company brought the Model S to Germany for a week-long press preview in Munich, Germany on the Autobahn. That event marked the beginning of Model S marketing outside North America. It allowed European press and media to drive Model S on all types of typical European roads. 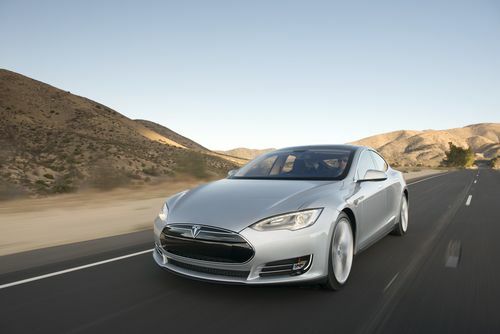 Tesla plans to deliver Model S to reservation holders in Europe and Asia in 2013. The company is also looking north of the U.S. border for Model S distribution in Canada. In mid-November, the company opened its first store in Canada, located in Yorkdale Shopping Centre in Toronto. Pretty nice post. I’ve really enjoyed reading stories from TorqueNews. In any case I’ll be subscribing to your newsletter and look forward to your stories.